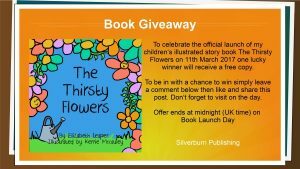 I am now able to release the ISBN for my children’s story book “The Thirsty Flowers”, you will find it under the book’s listing on my ‘Books’ page. The official launch date for the book is 11th March 2017. I will be posting more information about this is a few days time. 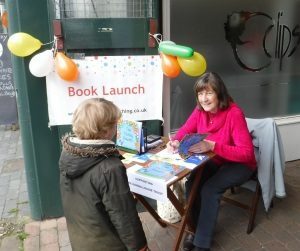 A select but appreciative audience came to hear Elizabeth Leaper read from her new book “Collecting Cobwebs, Gathering Brambles” at the Stafford Arts Festival and Book Fayre on 17th September. 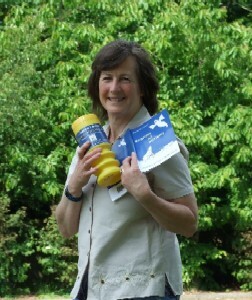 Throughout the day Elizabeth was available to sign copies of the book and an encouraging number of copies were sold along with several copies of her earlier book of verse for children “Barking At Nothing”. 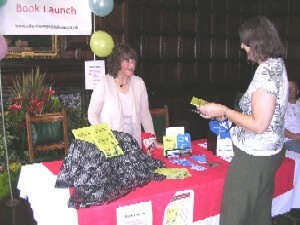 Elizabeth’s next book signing session will be in Nottingham on Saturday October 8th. Details to follow. Elizabeth Leaper will be launching “Collecting Cobwebs, Gathering Brambles” at this event. This is a collection of poems, rhymes and light verse by Elizabeth and her late uncle Jack Williamson. For more information about the book please see our Books page. If you are in the area please come along. Joining Elizabeth to sign and read from their books will be several other Midlands authors, including Catherine Cooper, prize-winning writer of “The Golden Acorn”.